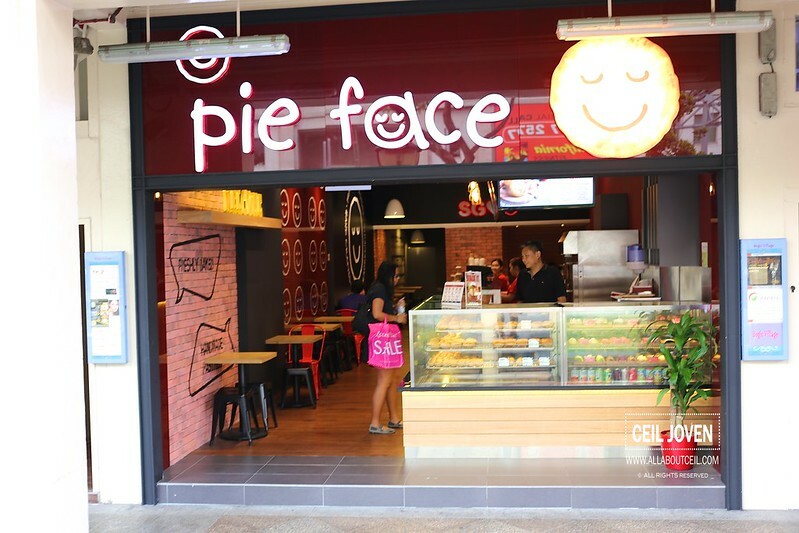 Pie Face from Australia started its first outlet in Singapore on 9 November 2014 then followed by the other outlet at Bugis on 23 November 2014 and their third outlet at NEX on 14 February 2015. 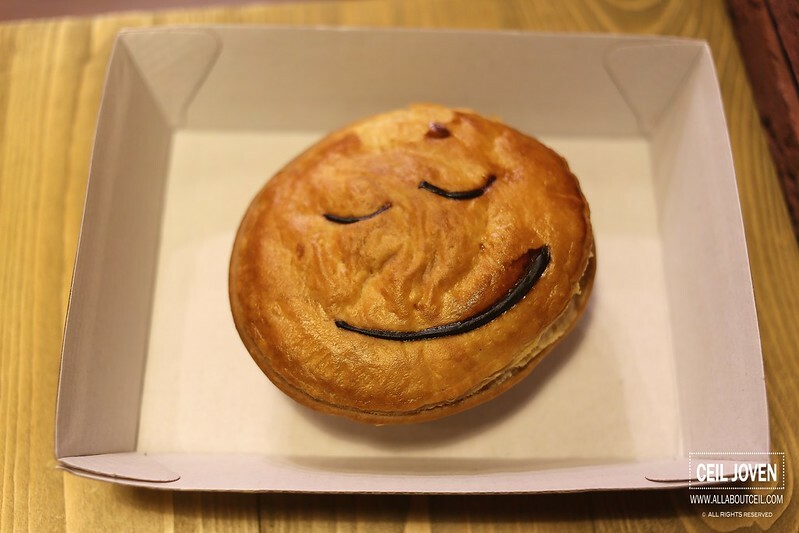 They serve a good varieties of different types of pies with funny little faces on them. If you are observant, you will see that different pie has a different expression to indicate different types of fillings. I was there on a quiet evening on a Sunday and was quite surprised to find that the cafe was unusually quiet on a buzzing Sunday. There was only 2 tables occupied at that time. I was served rather quickly. The serving staff took notice of the Groupon Voucher that i was holding on without me making the effort to mention it. I asked for a recommendation and was told their best sellers are the Chunky Steak Pie at $5.20 and their Chicken Mushroom Pie at $4.90. 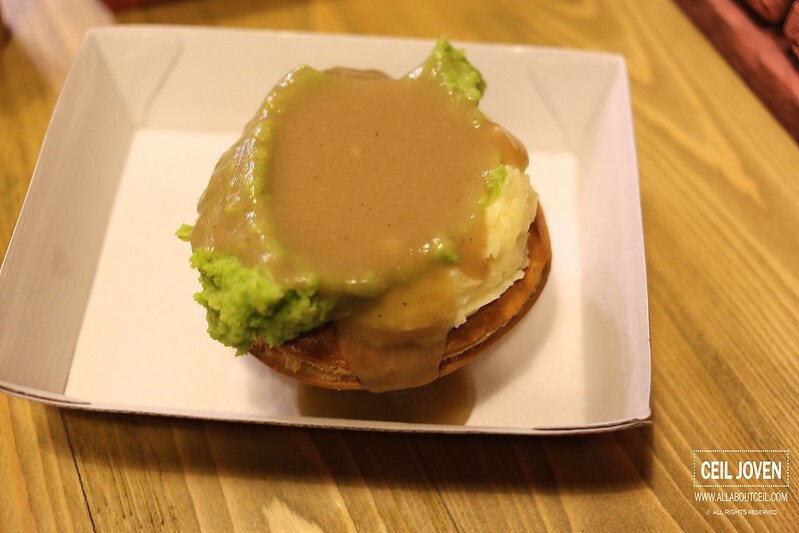 I added another $2 to stack my Chunky Steak Pie with mash potato and pea with gravy added. 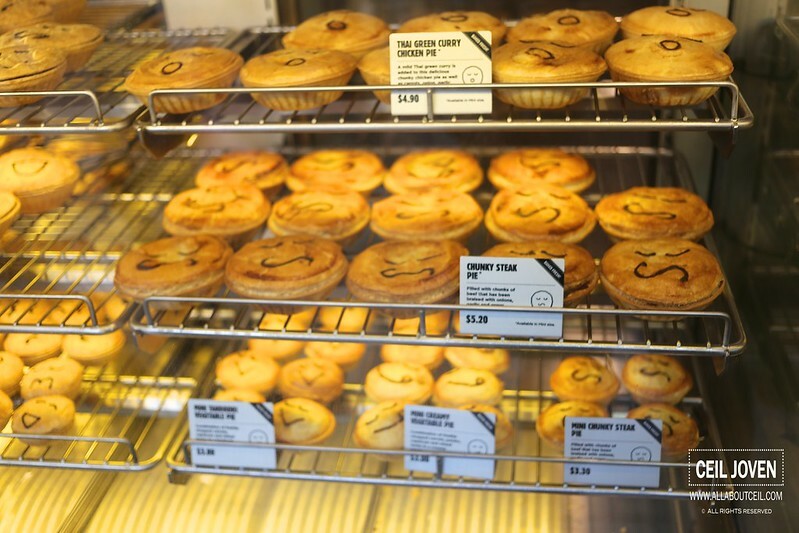 That voucher allowed me to pick 2 choices of cold/hot drinks to go with the pies. 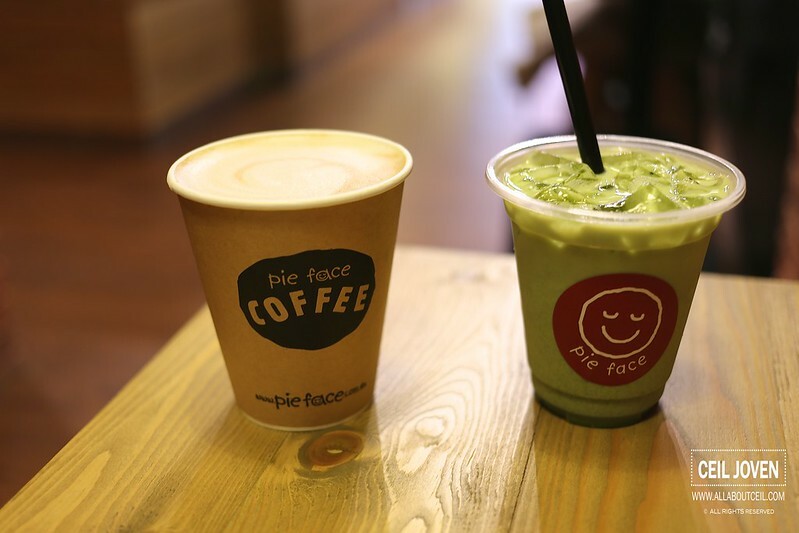 I went with the cold Matcha Tea and hot Cappuccino. I was asked to take a seat and they shall serve it to my table. The service was noticeably attentive. 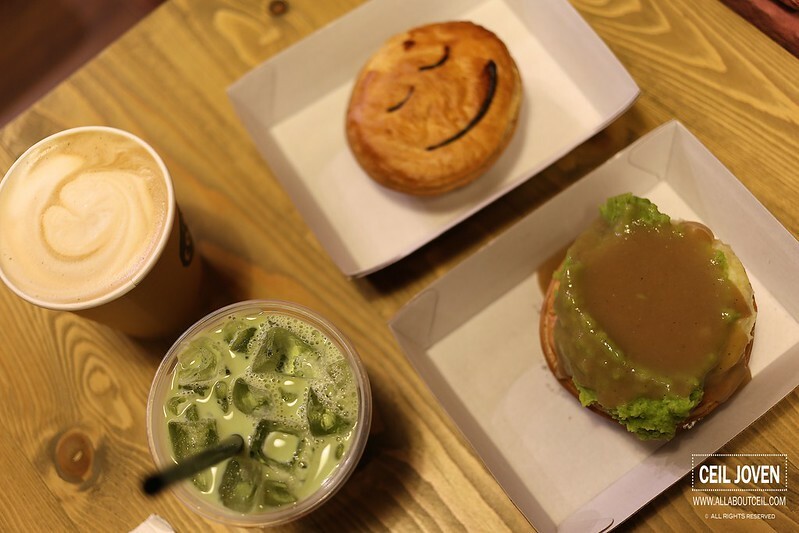 Some of the interesting choices of their pies, the Thai Green Curry Chicken Pie sounds good enough to check it out. 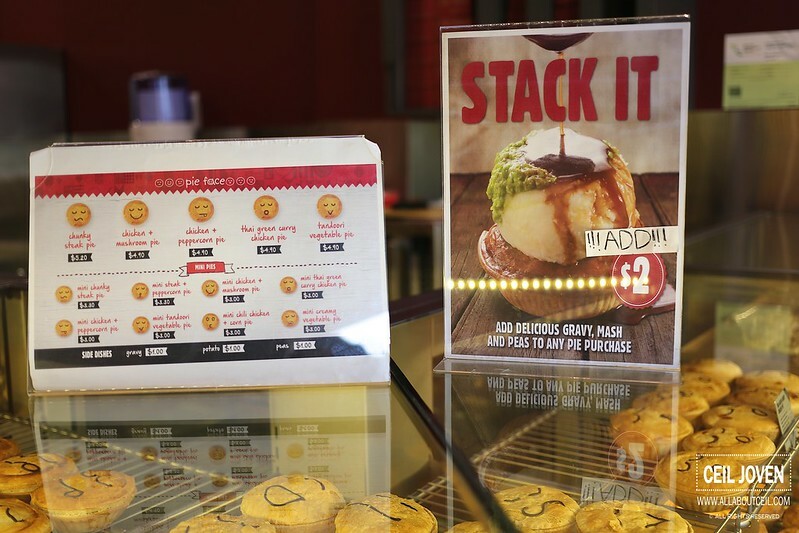 The drinks came first then followed by the pies rather quickly. 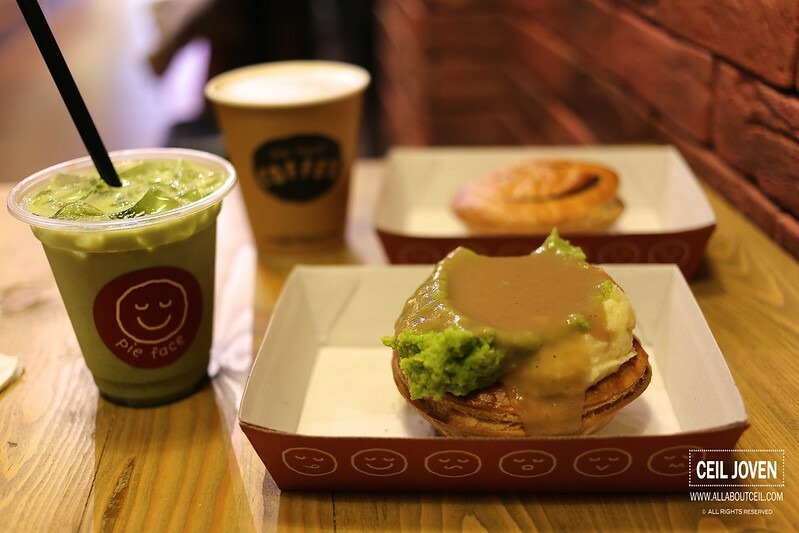 The Matcha Tea was a good choice, it tasted rather refreshing with a distinctive matcha flavor, the sweetness was just right as well. 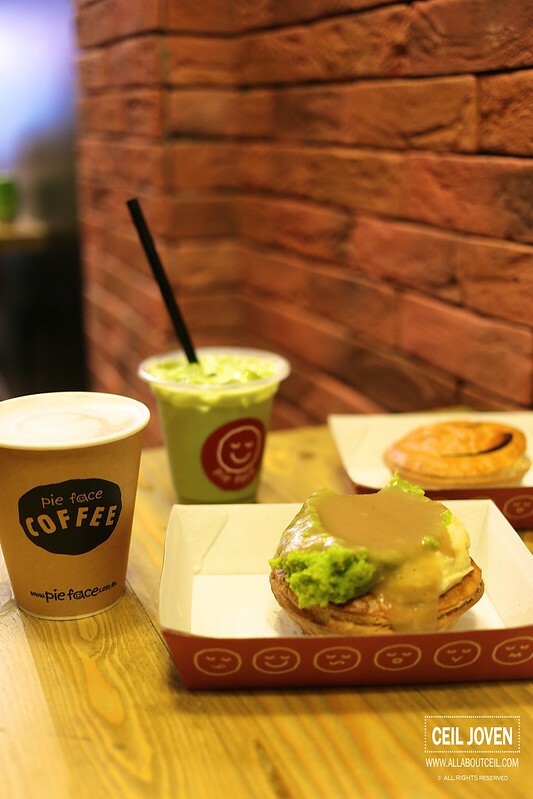 The hot Cappuccino complemented the pies perfectly too. 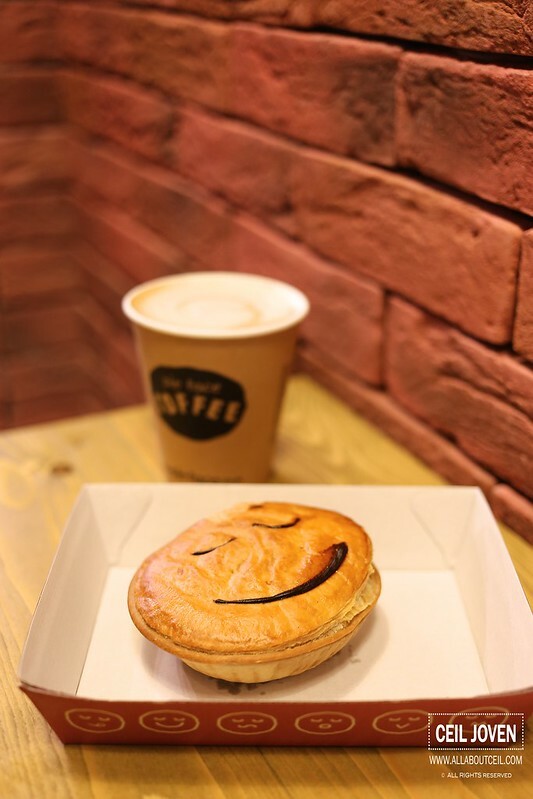 The Chunky Beef Pie filled with chunky pieces of braised beef mixed with slices of onion and garlic in tasty gravy. 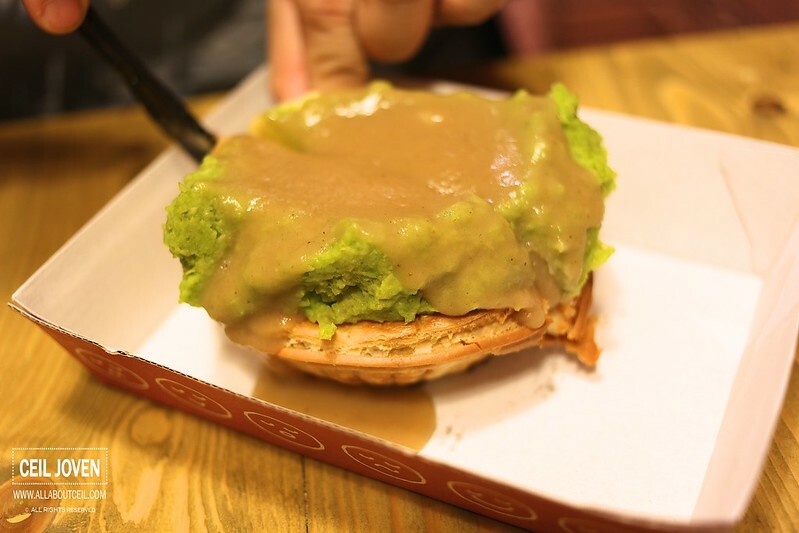 The size of pie was just average but the stack of mash and mushy pea made it a substantial portion that is good enough for a light lunch though still not too filling for a proper dinner. The mash was good but i did not like the pea as much. I guess i would rather have more mash and leave out the pea next time. 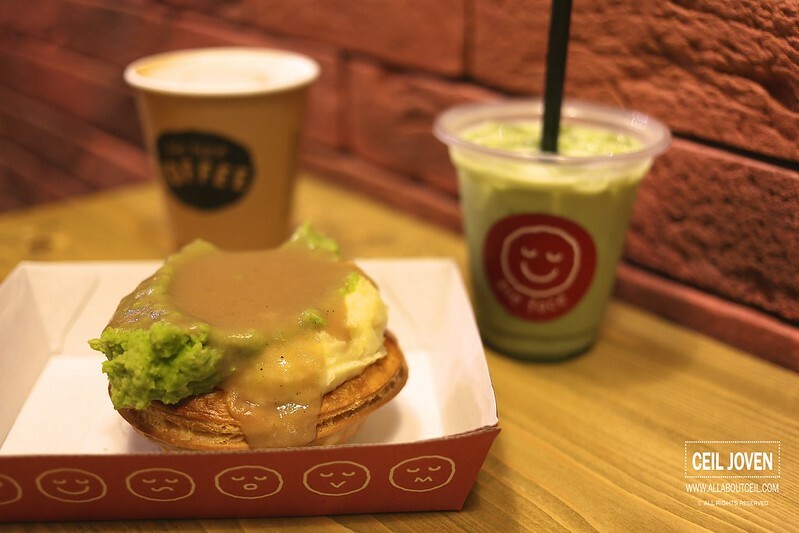 The crust of the pie was light and flaky with a delightful buttery taste created by their French pastry chef using a special blend of butter to create 48 layers. A rather perfect combination. 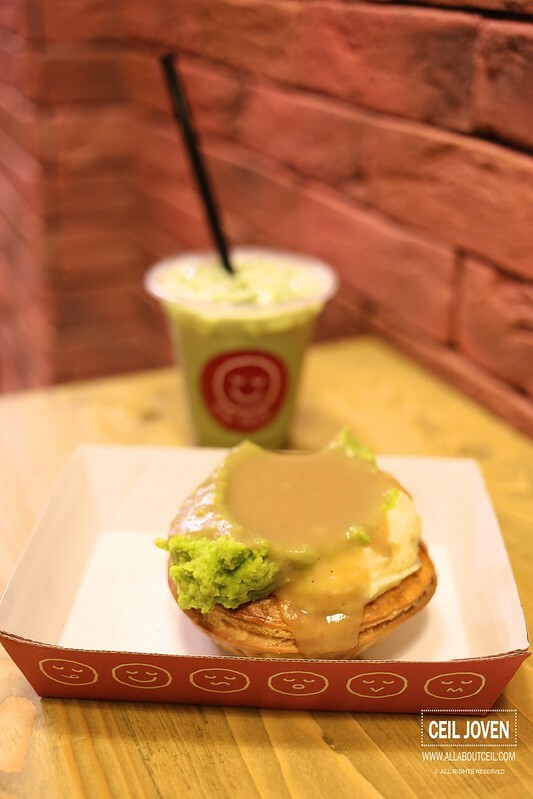 The Chicken Mushroom Pie consists of chunky pieces of chicken with slices of mushroom together with garlic in chicken stock and cream. 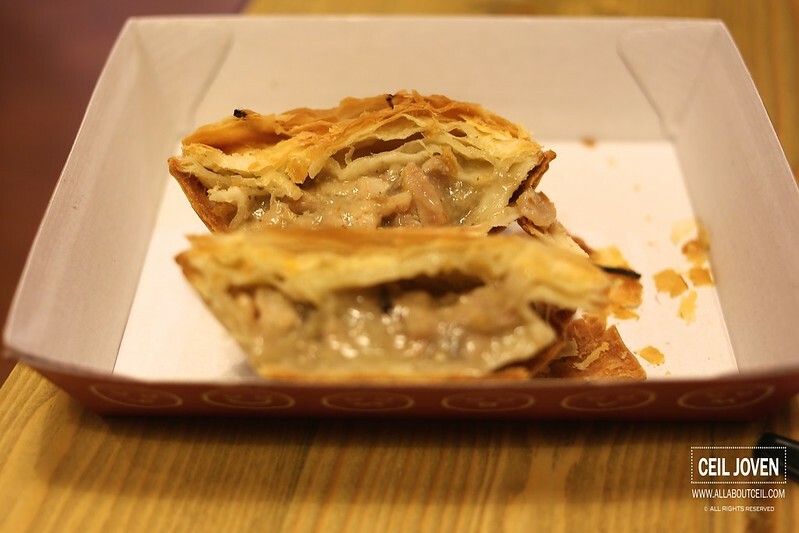 It was nice but rather forgettable and not as good as the Chunky Beef Pie in comparison. 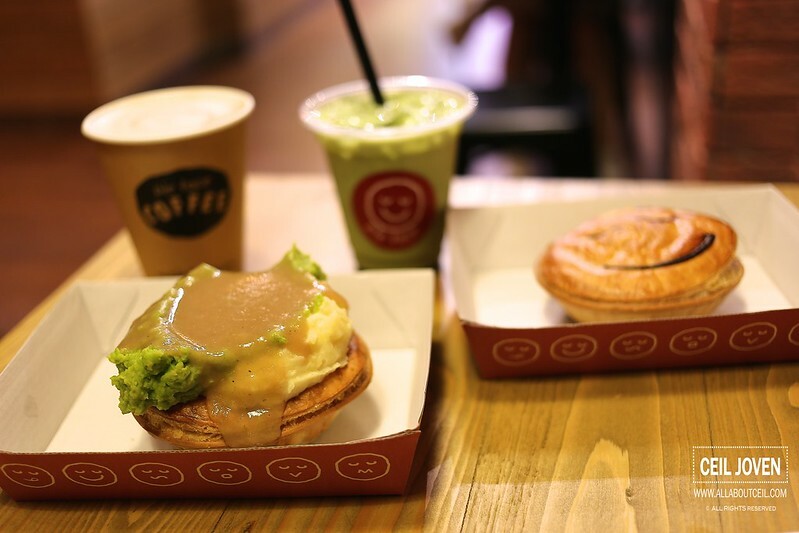 I do hope they will be in Singapore for a long while as it is not easy to find such a good standard of pies here though their prices are a little too steep.